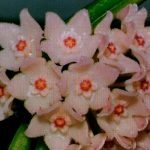 Hoya Plants – You can buy plants online by simply clicking “Add” under the photos below and then proceed to the checkout when ready. Hoya Plants are collected for their variable eye-catching wax flowers and lovely foliage. Great for your landscaping ideas for the outside garden as well as the indoor garden. 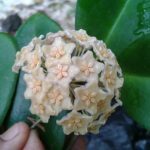 There are some 200 known species of Hoya….from the Family Asclepidiacea. Many in Papua New Guinea are yet to be discovered!! 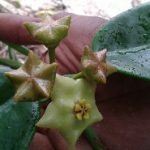 Hoya Plants are mostly tropical and subtropical.There are at least seven Australian natives in Queensland. It is mostly an evergreen perennial vine. 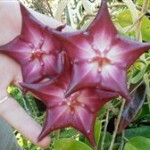 Hoya Plants are one of our Nursery specialties. Hoya Plants are ideally suited to take morning sun and some full sun in your garden. 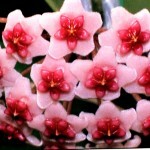 Hoyas are collectibles due to the amazing array of flower shapes, colour and sizes. Many could be grown for their foliage alone…even without the wonderful flowers. Hoyas are mostly hanging and/or climbing vines.Some are more rigid and erect. Many are epiphytes.There are many variables in flowers and foliage. They all have a central crown and are five starred. Multiplication In nature seeds are produced in pods after ants cross pollinate the flowers. You wont get many seed pods at home though as we tend to kill off the ants which have a cosy relationship with mealybug…(which can be sprayed with detergent water.) You can propagate hoyas by cuttings. Hoya Plants are epiphytes, so don’t drown them with water, especially when it’s cold.Let them dry out a little between waterings. However, don’t leave them dried out for a long period or the plant will dessicate. The biggest mistake that can be made is to overpot the plant. This happens a lot. Hoyas more than most plants like being root-bound. You can keep them in a 70mm diameter pot for several years then go up to a 100mm diameter pot. Potting Mix needs to be well drained with a little coarse material. They must have good drainage. Old mixes need to be replaced as they break down and become too fine and subsequently hold too much water in winter. 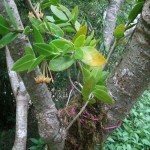 Flowering is enhanced if the plant is root-bound. You need good strong filtered light under shade or cover. Morning sun is fine and recommended if you can get it. In nature, hoyas grow on trees near openings in the forest or on edges or by the river or by the sea. Plants under a little stress for water or nutrients will usually flower best. This is a survival mechanism. Run the vines horizontally for more flowers on these beautiful flowering plants.